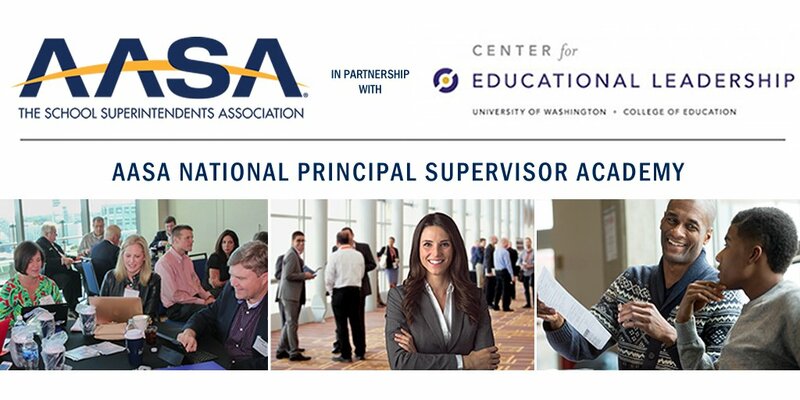 AASA has partnered with the University of Washington Center for Educational Leadership to bring CEL's Principal Supervisor Professional Development Program to all central office leaders who support principals' instructional leadership growth as their primary responsibility. The program will meet three times in person in Alexandria, Virginia: August 7-8, 2019; November 14-15, 2019; and April 29-30, 2020. Learn more at AASA. The cost of the program is $5,000, which includes instruction and materials for three in-person meetings, two virtual workshops, and three hours of virtual coaching per participant. The program will be limited to 60 participants. Upon successful completion of this program, participants will receive an AASA/CEL diploma of completion and professional achievement, a valuable addition to their professional portfolio.